Over 120 years of skiing history has formed an integral part of our town's fabric, creating a community that celebrates winter in all its forms. If you live for snow, welcome home. Revelstoke holds the record for the most snowfall in Canada in a single winter at 80 ft or a whopping 2,438 cm, and the Resort's slopes are blanketed in an average of 34 feet of powder every winter. Those who've been know; you may leave Revelstoke, but you'll never forget it. Springtime is no exception, with an average of 225 cm of snow falling in March and April alone. This year, we have an extended season and big savings during March and April. Take a peek below for your best bet on a spring getaway. Save big on Multi-Day Lift Tickets when you pre-purchase your lift tickets in advance. Lodging only deals in Revelstoke from $82/night and slopeside from $129/night. Packages with rooms in Revelstoke from $94 per person per night and slopeside from $119 pp/pn. 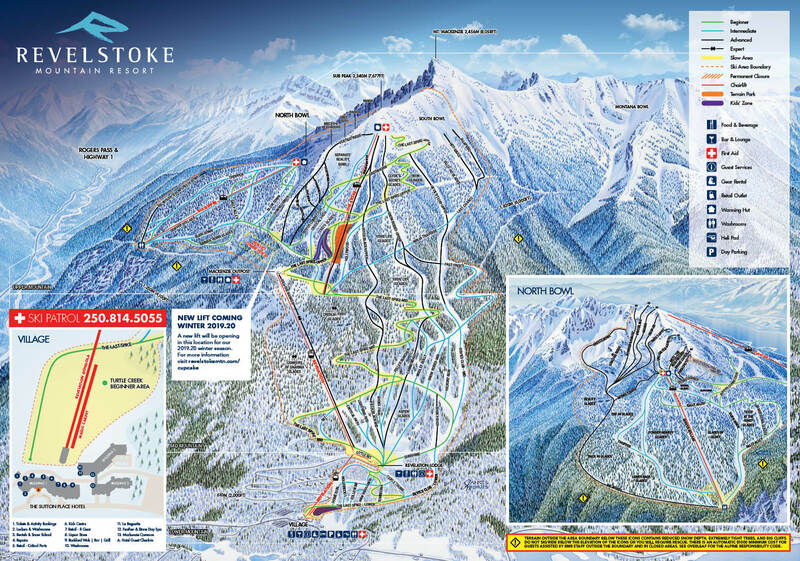 Search from all of Revelstoke's accommodation options. Whether here for business or pleasure, Revelstoke's hotels will not let you down; the mountain air and spectacular scenery will warm your heart as you are welcomed by the community. Please note that if you are a Vertical Cardholder, IKON Passholder, Mountain Collective Passholder, Sunshine Supercardholder you are eligible for exclusive room rates. Use the links below to redeem your preferred rate at either The Sutton Place Hotel or Sandman Hotel Revelstoke. Offer subject to availability, taxes & applicable fees. Cannot be combined with other offers. 48 hour cancellation policy applies (one night room and tax penalty). Package includes one lift ticket per paying adult, per day. Child and youth tickets can be purchased separately. Minimum of 2 people required per stay. 48 hour cancellation policy applies (one night room and tax penalty). Rate is per person, per night. Cannot be combined with other offers. Restrictions may apply. Encased in the fully transformed 1911 McKinnon building, we are Revelstoke's premier boutique hotel. With 9 rooms, a private rooftop guest lounge, and an acclaimed in-house restaurant, we provide a unique luxury experience for the discerning Revelstoke traveler. Each Ski and Stay package includes two Adult lift tickets per night of stay. Starting prices are based on an advance purchase, non-refundable booking. 7 day advance purchase required. Prices shown are per person and based on double occupancy. Taxes are not included. All prices are per person and based on double occupancy. Taxes are not included. All prices are per person and based on double or triple occupancy. Taxes are not included. All prices are per person and based on double occupancy. Blackout dates may apply. Taxes are not included. All prices are per person and based on double occupancy with one queen bed. Taxes are not included. We've extended our season and pumped up the party! Join us in sending off the 18.19 season with a bang. Some may get the impression that spring drawing nigh will bring more predictable conditions with slushy snow and blue skies as far as the eye can see but Revelstoke often defies that stereotype. Here are our top 6 reasons why we love Revelstoke in the spring.